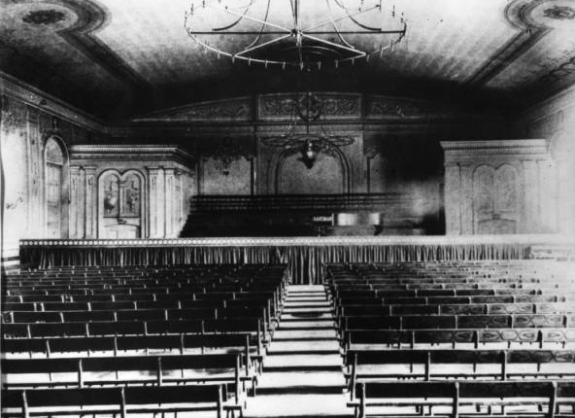 Within a few years of its creation, the Musical Fund Society was able to establish its own concert hall. In 1824, the society purchased the Fifth Presbyterian Church at Eighth and Locust Streets and converted it into a performance venue with the help of architect William Strickland. To reduce costs, many remnants of the church were incorporated without modification into the new structure including its doors and windows. 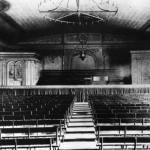 The stage was constructed out of the backs of the church’s pews, which some performers claimed gave Musical Fund Hall acoustics superior to those of other venues of the era. The first Republican National Convention was held at the Musical Fund Hall in February 1856. The party was established two years prior to oppose the “Slave Power” voting bloc in the Democratic Party and was explicitly abolitionist. 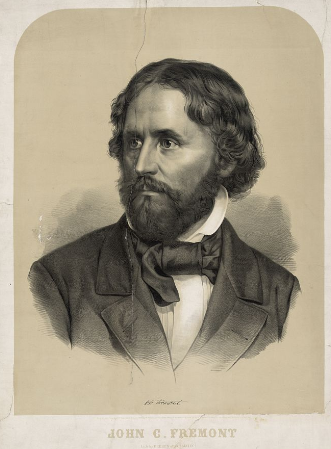 Mexican-American War hero and western explorer John C. Frémont of California was chosen as the party’s presidential nominee over a number of contenders, including a relatively unknown Abraham Lincoln. Frémont campaigned in the heated election with the slogan “free soil, free speech, free men, and Frémont!” His name did not appear on presidential ballots in many of the Southern states, but he was able to secure a third of the total votes cast. He ultimately lost to James Buchanan. Musical Fund Hall underwent a long period of deterioration after the Musical Fund Society sold it in 1924. Efforts to return it to use as a performance or cultural venue in the mid-twentieth century never materialized. 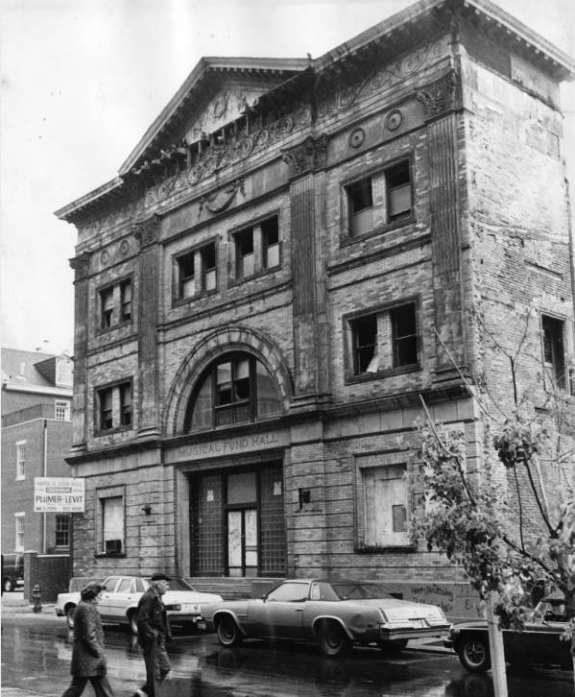 In 1982, one year after this photograph of the dilapidated building was taken, Musical Fund Hall was purchased by a private developer and converted to luxury condominiums. Musical Fund Hall’s stage was graced by some of the biggest names in music, literature, and even politics during the first half of the nineteenth century. 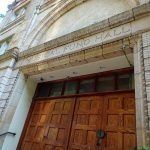 After the larger Academy of Music opened in 1857, Musical Fund Hall lost its prestige and gradually fell into disrepair and abandonment. Performances at Musical Fund Hall were not limited to music. 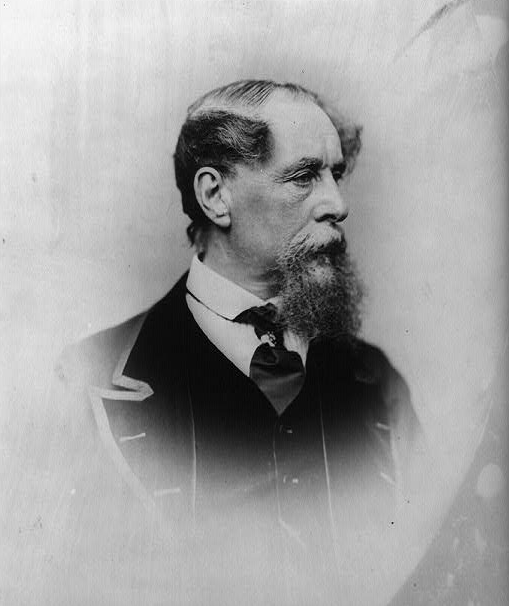 Novelist Charles Dickens presented a lecture at the venue in 1842. 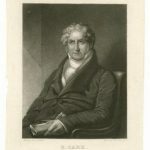 Judge John K. Kane was one of the founding members of the Musical Fund Society. An amateur musician, Kane also kept a record of the society’s early history, which he published in his memoir. Washington Hall, on Third Street above Spruce, was the site of the Musical Fund Society’s first official concert in 1821. The society continued to perform there until the completion of Musical Fund Hall in December 1824. 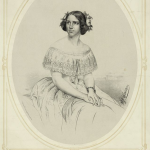 Opera singer Jenny Lind gave a series of eight concerts at the Musical Fund Hall in the fall of 1850. 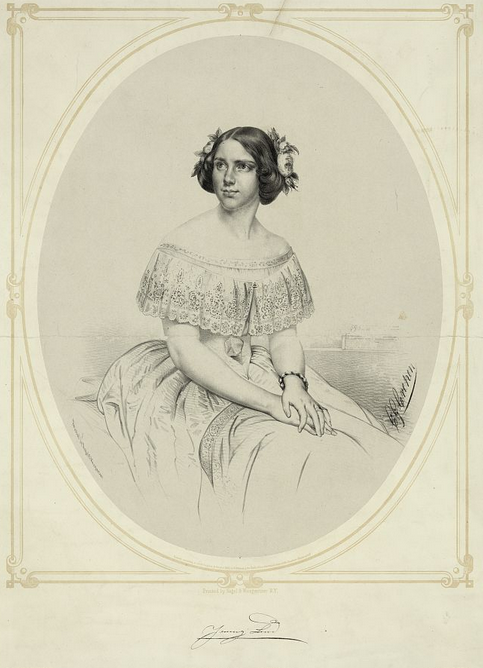 Known as “the Swedish Songbird,” Lind performed a total of ninety-three concerts in the United States between 1850 and 1852 at the invitation of P.T. Barnum. The Musical Fund Society, an important predecessor to the Philadelphia Orchestra, formed in 1820 to promote professional and amateur musical talent in Philadelphia and to aid indigent musicians and their families. Its active role in advancing the careers of exceptional performing musicians and composers continued into the twenty-first century, making the Musical Fund Society the oldest continuing musical organization in the United States. The Musical Fund Society’s early beginnings included a small group of music lovers who met at their homes on Wednesday evenings during the winter months for several years starting in 1816. This group included such prominent Philadelphians as physicians William P. DeWees (1768–1841) and Robert M. Patterson (1787–1854), Judge John K. Kane (1795-1858), dentist Leonard Koecker (1785–1850), linguist Peter S. Duponceau (1760 –1844), antiquarian Charles A. Poulson (1789–1866), and others. They invited the best musicians in Philadelphia to their meetings to perform quartets of Beethoven, Boccherini, Haydn and Mozart, and other notable composers. The musicians were Charles F. Hupfeld (1787-1864), first violin; his brother John Hupfeld, second violin and sometimes viola; Peter Gilles (1776-1839), viola; and George Schetky (1776-1831), viola. 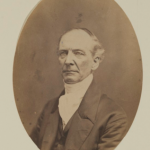 Additional participants included violinists John C. Hommann (?- 1842), his two sons, John (1797-1832) and Charles (1803-72), and Dr. Rȇné La Roche (1795-1872). 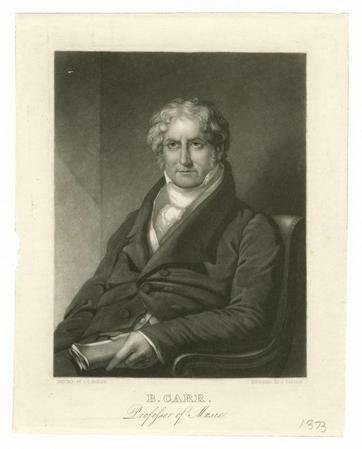 As the result of the weekly gatherings, in 1816 Charles F. Hupfeld tried to establish a society for regular musical practice with Benjamin Carr (1768-1831), an organist, conductor, composer, and music publisher who had arrived from England in 1793, Gilles, and others. When it proved difficult to keep a sufficient number of players together, Hupfeld decided to add to the fledgling society a distinct purpose of creating a fund for the relief of musicians. With this new purpose, the Musical Fund Society held its first public organizational meeting on January 7, 1820, at Elliot’s Hotel, Sixth and Chestnut Streets, with many of the hosts and musicians from the earlier home concerts in attendance. 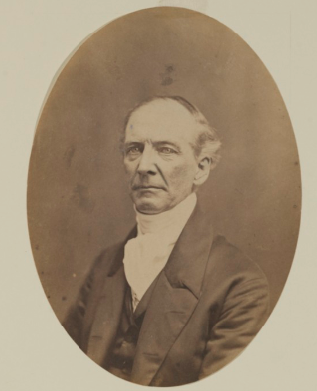 Nearly all professors of music in Philadelphia at the time and a large number of prominent and distinguished men and women also became members, and the society subsequently adopted a constitution and elected DeWees as its first president. 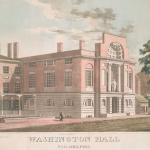 The society held musical practices on Thursday evenings at Carpenters’ Hall, leading to its first official concert on April 24, 1821, at Washington Hall on Third Street above Spruce, featuring one hundred orchestra and chorus members. The prominent musicians who had played in the earlier home concerts included, among others, C. F. Hupfeld, Gilles, and George Schetky, who conducted the society’s orchestra during its first decade. The Musical Fund Society concerts quickly became popular, creating a need for a larger venue. Although the society’s programs were not self-supporting, the group succeeded in raising funds to build the Musical Fund Hall, Eighth and Locust Streets, which cost $23,000 (including $7,500 for the lot). The hall, which became renowned for acoustical excellence, hosted its first concert on December 29, 1824, featuring four works by Handel and two by Mozart. The society also purchased sheet music, opera scores and musical instruments. By 1879 the catalog of printed music numbered 304 pieces and was comprised of overtures with full orchestral parts, opera music, oratorios, sacred music, symphonies with orchestral parts, and miscellaneous pieces. From the 1820s through the 1850s, Musical Fund Hall was the center of all music in Philadelphia with the exception of opera. 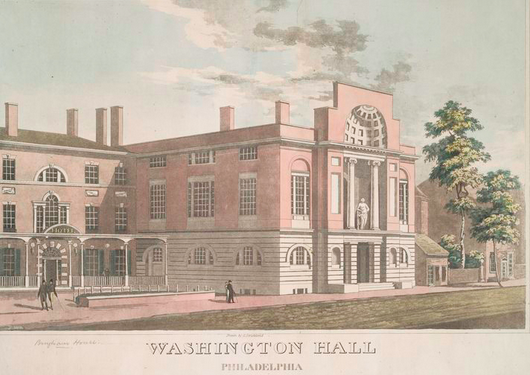 From 1825 until 1831, until it became too much of a financial burden, the Musical Fund Society operated an Academy of Music “for promoting a more general knowledge of music and supplying the orchestra of the society with skillful performers.” It was the first degree-conferring school of its kind in Philadelphia. Until 1851, the Musical Fund Society presented three concerts per year to benefit lifelong members of the society as well as to support destitute musicians and their families. These concerts ended in part because of the influx and popularity of visiting virtuosi, which minimized home talent. Another cause was the growing popularity of opera, particularly English opera. The society continued to provide orchestral concerts and in 1856 became the sponsor of the Germania Orchestra, which played in Musical Fund Hall until 1868. The opening of a new concert hall, the Academy of Music on Broad Street, in 1857 had a profound effect on the Musical Fund Hall’s status as a premier musical venue. However, the hall remained in demand for balls, meetings, lectures, weddings, and commencement exercises for a number of distinguished music schools. 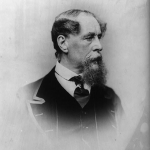 The hall hosted lecturers including Charles Dickens (1812-70) and William Makepeace Thackeray (1811-63). 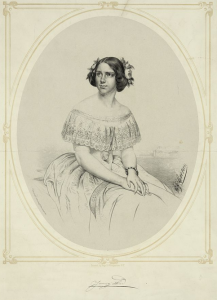 Other notable performers included violinist Ole Bull (1810-80), pianists Henri Herz (1803-88) and Louis Gottschalk (1829-69), and singers Jenny Lind (1820-87), Henriette Sontag (1806-54), and eight-year-old Adelina Patti (1843-1919), all of whom gave concerts at the hall before 1853. The Marquis de Lafayette (1757-1834) was honored at a reception in the hall in 1825. 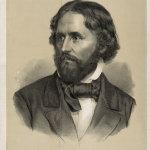 Pennsylvania’s Constitutional Convention took place there in 1837, and the first national convention of the fledgling Republican Party convened there in June 1856 and nominated John C. Fremont (1813–90) for president of the United States. 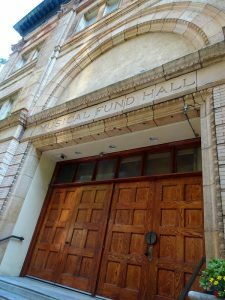 By the 1920s, Musical Fund Hall had fallen into disrepair and needed expensive maintenance, leading the Musical Fund Society to sell the building to the Philadelphia Labor Institute in 1924. After the Labor Institute defaulted on its mortgage during the Great Depression, the building once again became the responsibility of the Musical Fund Society, which leased it in 1937 for athletic events. In 1945, the building served as a storage warehouse for tobacco products. 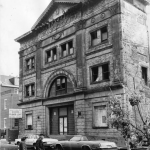 The Philadelphia Redevelopment Authority purchased the structure in 1964, but plans to restore the hall as a performance space, cultural center, or museum were never realized. In 1982, private developers renovated the building for luxury condominiums. Although no longer operating its own concert hall, the Musical Fund Society continued actively sponsoring music and musicians. In 1983 the society established a tax-exempt foundation for gifts to further its goals and programs, including scholarships to music students and Career Advancement Awards to artists with local connections. In the early twenty-first century, the society continued to sponsor numerous musical events, including a free chamber music series at the Free Library of Philadelphia and many concerts featuring music by American and Philadelphia composers. The music-loving founders of the Musical Fund Society wanted simply to cultivate musical tastes in Philadelphia and at the same time offer concerts to help destitute musicians and their families. The society’s selfless interest laid the foundation to make Philadelphia a leading center for musical arts in the United States. Joseph C. Schiavo is an Associate Teaching Professor of Music and the Associate Dean for Undergraduate Programs and University College in the Faculty of Arts and Sciences at Rutgers University–Camden. Mactier, William L. A Sketch of the Musical Fund Society of Philadelphia. Philadelphia: Henry B. Ashmead, 1885. Madeira, Louis C. Annals of Music in Philadelphia and History of the Musical Fund Society from its organization in 1820 to the year 1858. Edited by Philip H. Goepp. Philadelphia: J. B. Lippincott Company, 1896. Nitzsche, George E. “The Musical Fund Society of Philadelphia.” Philadelphia History 4, No. 6, 1960. 150th Anniversary of the Musical Fund Society of Philadelphia. Philadelphia: 1970. Musical Fund Society of Philadelphia Records, Kislak Center for Special Collections, Rare Books and Manuscripts, University of Pennsylvania Van Pelt-Dietrich Library Center, 3420 Walnut Street, Philadelphia. Musical Fund Hall, Eighth and Locust Streets, Philadelphia. Thanks for telling the important history of the Musical Fund Society and of the building. It made me wonder about the changes in the Society in the 20th century, which are barely touched on. The 19th century organization seemed to be all white men. When did women begin to take part? When was the organization integrated? It’s also not clear whether the Society is still active, but I assume it is. The essay seems to peter off in the early 20th century. It makes me wonder what it’s doing now. Thanks!